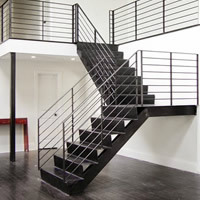 At Structural Steel Stairs, we are one of the leading designers and builders of industrial metal staircases in Sydney. 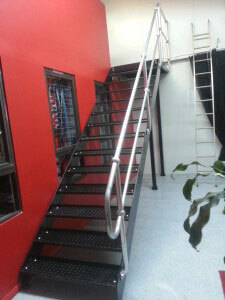 We provide a complete range of steel staircase and balustrading solutions for all types and sizes of spaces. 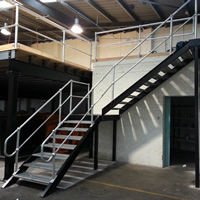 Our experienced engineers can design and build new steel stairs and balustrades or replace your old and hazardous staircase at your home, workplace or factory. We design, fabricate and install different types of custom industrial staircases, from the most basic and smallest ones to the most complex and large commercial ones. No job is too big or too small. Each Industrial Steel Staircase will be designed and built to measure based on the specific requirements of each individual client. Our experienced team of engineers and draftsmen will provide complete technical support during the designing and installation process. We also provide a complete range of finishes to suit to different environments and needs – powder coated, fine brushed, galvanised or painted finish on stainless steel. 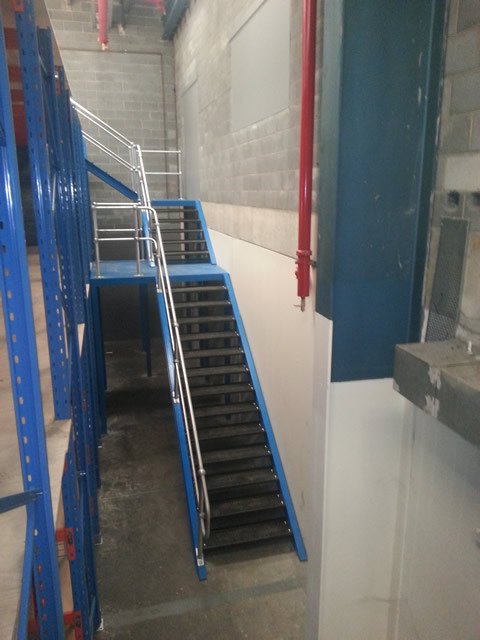 All industrial production and warehousing units require Industrial Steel Stairs. They are amongst the most commonly used areas, which means there cannot be any compromise in the quality of the materials or workmanship. This is exactly what we deliver, so that your structure will continue to produce outstanding results from years to come. 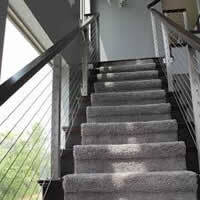 In addition to creating new stair solutions, we also offer replacement and repair services to our clients. 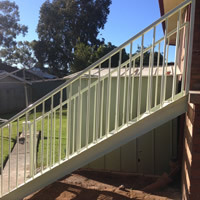 The repair work mostly involves replacing damaged or weaker sections or strengthening the weaker parts of your internal or external Industrial Steel Stairs. Once we receive a call from you, on of our experienced engineers will visit the site. We will measure the site and create all the specifications and preliminary drawings after gathering all the required information from you. Our technicians will share the plan and drawings with you along with a detailed quote. 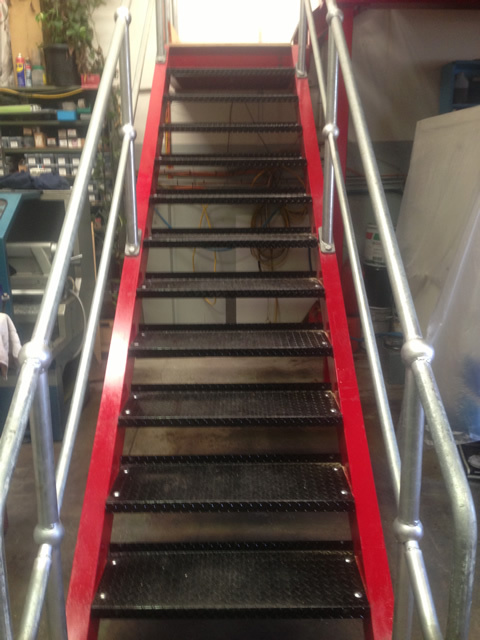 Once the plan is approved, your industrial metal staircase Sydney will be installed by our professionals who are fully insured and will follow the health and safety requirements. Balustrading involves the combination of handrail, spindles and newel posts, which will often provide character to a metal staircase. It can also be formed with metal, glass timber and stud walls. 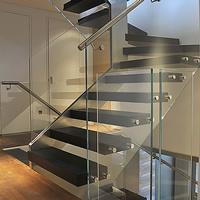 The new trend is to keep balustrading simple, mostly using metal tension wires or laminated glass panels. We also provide complete range of balustrading services to meet your various types of requirements. 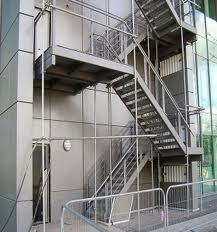 Apart from their durability and reliability, there are many reasons why metal staircases are so popular. They were once seen mostly as industrial in nature, but today they are being used everywhere – even in homes. There are many points that favour them. These staircases are lighter in appearance as compared to timber. 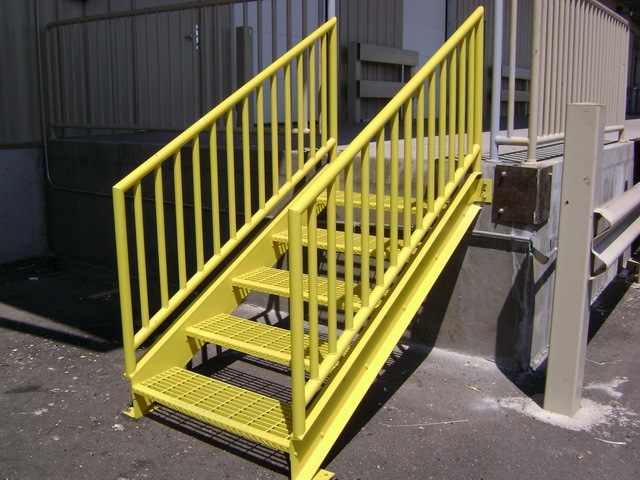 They can be protected through painting, powder coating or galvanising for use in all types of industrial environments where the stairs may be exposed to dampness or other conditions. Metal can be powder coated to achieve almost any colour and finish. Besides, the perfect combination of SS posts, handrails, and glass could help create exotic looks, which can still be highly cost effective. 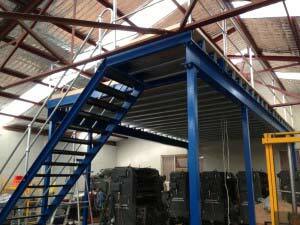 We at Structural Steel Stairs can design any type of industrial metal staircase Sydney to meet your requirements. Whether you need straight or spiral flights, made from tension wires or wire mesh or any other customisation, our engineers can create a design to fulfill your design and build requirements.